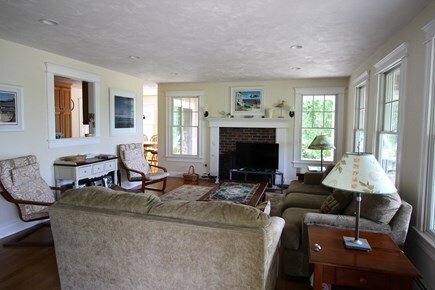 July weeks open and a short distance from sandy Corn Hill Beach. 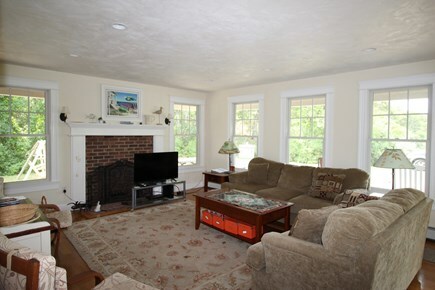 The first floor offers a fire-placed living room with comfortable couches and chairs, TV, lovely oak floors. 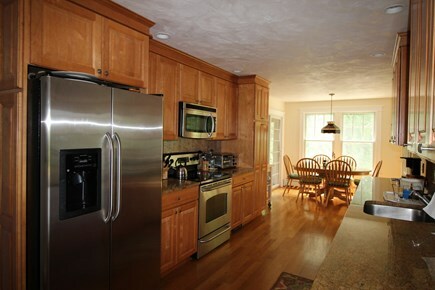 The kitchen has gorgeous maple cabinetry, granite counter tops and the adjacent dining area opens onto the screened porch. 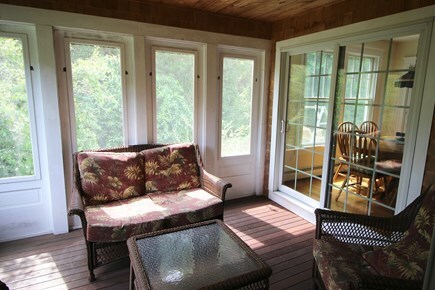 The screen porch has wicker furniture and overlooks the wooded side yard - great place to enjoy morning coffee. 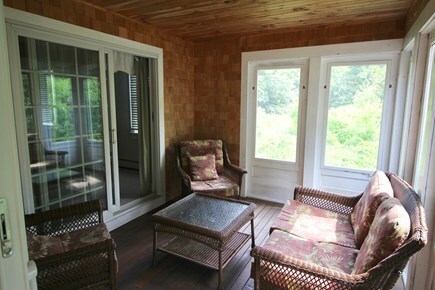 The master suite with private bath has sliders to the screened porch. 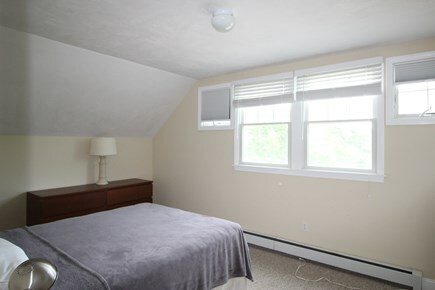 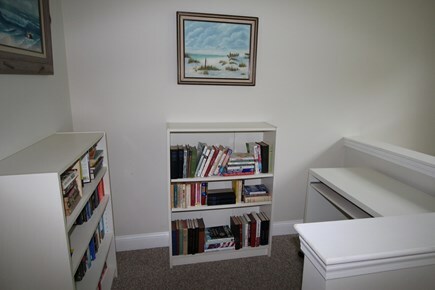 The second floor features two bedrooms and a large bath in addition to a nook with desk which is perfect to set your laptop up. 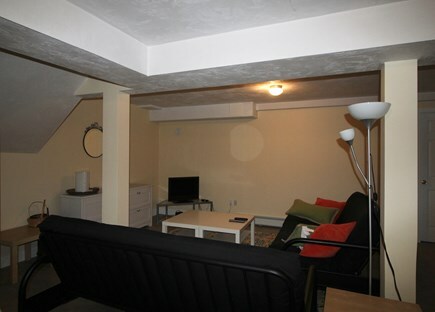 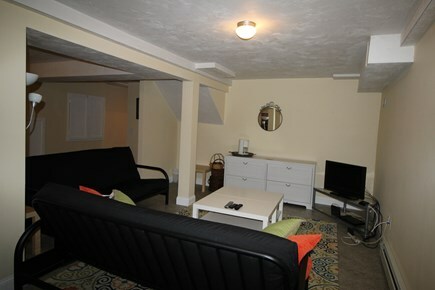 Lower level family room with couches (open to beds), chairs and TV. 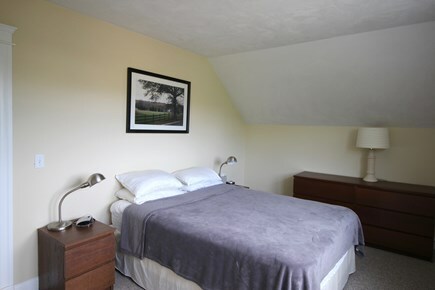 Attractively and comfortably furnished throughout, just a sweet getaway! 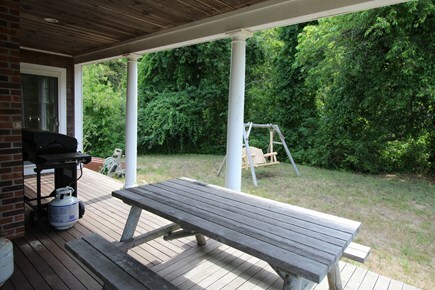 The front of the home offers a wide wrap around covered porch with outdoor seating, dining table and grille. 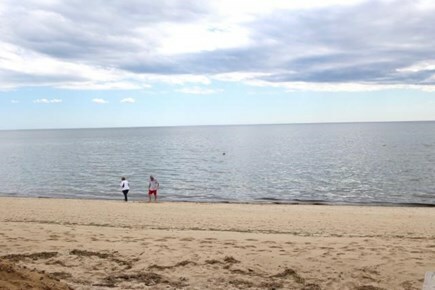 Corn Hill Beach is about a mile away and there's excellent birding in the area. 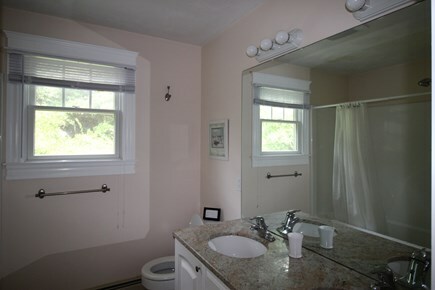 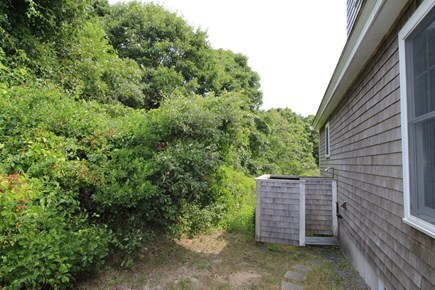 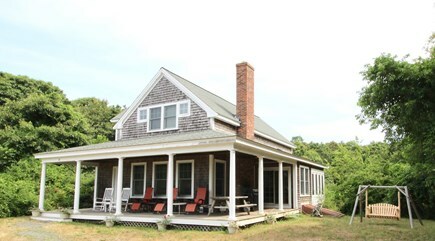 Close to Truro Center Village, Castle Hill for the Arts and the ocean beaches. 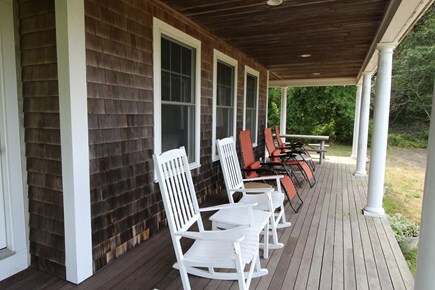 Drive, bike or walk to Truro Central Village for the Perry Farm Market, Fullers Package Store, Cape Tip Seafood Market and The Box Lunch. 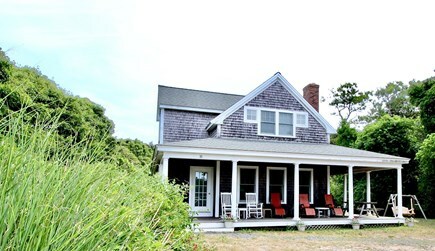 Highland Golf Links is about a five minute drive and is overlooking the Atlantic Ocean next to the historic Highland Light - part of the Cape Cod National Seashore this is not to be missed. 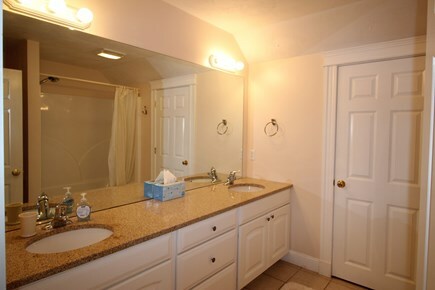 Talk to us about bringing your dog with you.